P Diddy hanging from a chandelier and exposing his underwear. He’s probably got a big one behind those threads, we would be wiling to bet on it. We’re pretty sure that Sean Combs is still going by the name ‘Diddy’, but he could have changed once again. 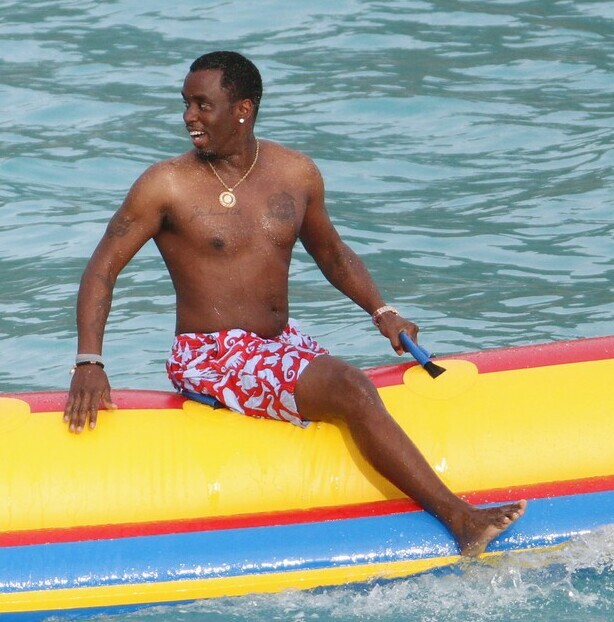 There’s not too many shirtless pictures of Diddy, so we had to scour our sources for this one.